X-Men: Days of Future Past may not have been the massive box office hit that Fox was hoping to have, a near 60% drop in box office revenue in its second week hurt the film’s numbers, but the hugely positive response was enough to give studio heads the confidence to move forward with its sequel X-Men: Apocalypse. Bryan Singer and Simon Kinberg have been hard at work trying to crack the script, and it looks like they have finally done it, as it has been confirmed that filming will begin next year in Canada. Journal De Montreal (via Coming Soon) confirmed the news which says that filming will commence at Mel’s Studios on Montreal, Canada in April 2015. While the end of X-Men: Days of Future Past reset the film franchise’s timeline, which resurrected characters once thought to be dead, the film will actually use the First Class roster. Plus there is the possibility of Gambit joining the team. Other than that, the plot of the film hasn’t been revealed to us. 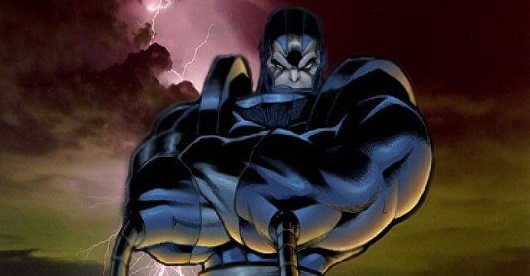 We do know that Apocalypse will be the villain of the film, and that the Four Horsemen are in it, but as to who will play Apocalypse, and if the horsemen will be composed of mutants we have seen in the film or a new group, that is still unknown. An April 2015 start date, isn’t exactly ideal since the film is scheduled for a May 27, 2016 release. Release dates are constantly changing, but if things remain the way they are, X-Men: Apocalypse will be competing against Captain America 3 and Alice In Wonderland 2 in the same month. Batman V Superman: Dawn of Justice will jump ahead of the superhero competition by having a March 2016 release.